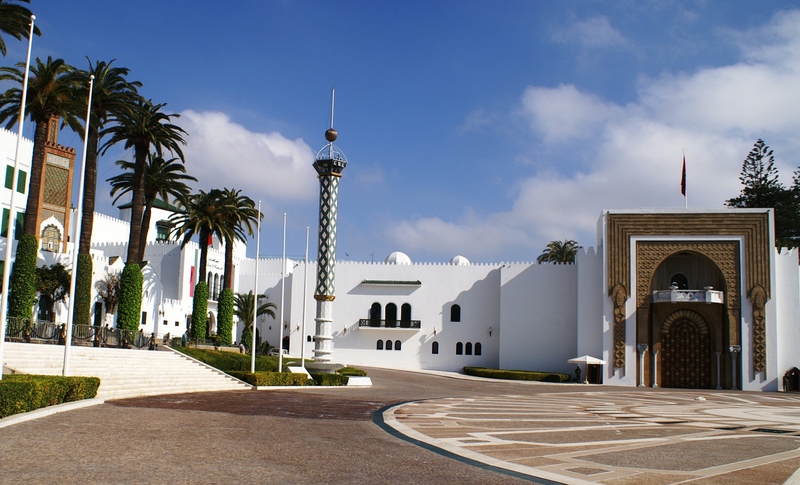 Tetouan is full of history and culture, along with very beautiful architecture. In particular, you will find a lot of Spanish influence in Tetouan since in the past it was once under Spanish/Andalusian rule. The result is an interesting combination of Andalucia and Arabic culture which is not so surprising given its location in the far north of Morocco. Day excursions to Tetouan are very popular. Travellers making the hour journey from Tangier to Tetouan by taxi will be pleased to know the drive is very scenic and there is plenty of time to relax and enjoy the view. Upon arrival, you will understand why Tetouan is famous for its old Medina, which is a UNESCO World Heritage site. It is bursting with things to do and little authentic Moroccan shops selling leather goods and rugs. The journey from Tangier to Tetouan takes about 1 hour by car, making it a good option for a day trip from Tangier. You can also combine it with a day trip to Chefchaouen. Your trip from Tangier to Tetouan won't be stressful because you are in charge. You will be our only customers, so you won't have to worry about other people. Our drivers are welcoming and happy to help. They are happy to take special requests and answer any questions you have. If you want to stop to take a photo, just ask! Tetouan's medina is definitely unique. It's a UNESCO world heritage site and in it you will find bustling markets, fresh seafood from the Med (only a few kilometres away) and many, many mosques! 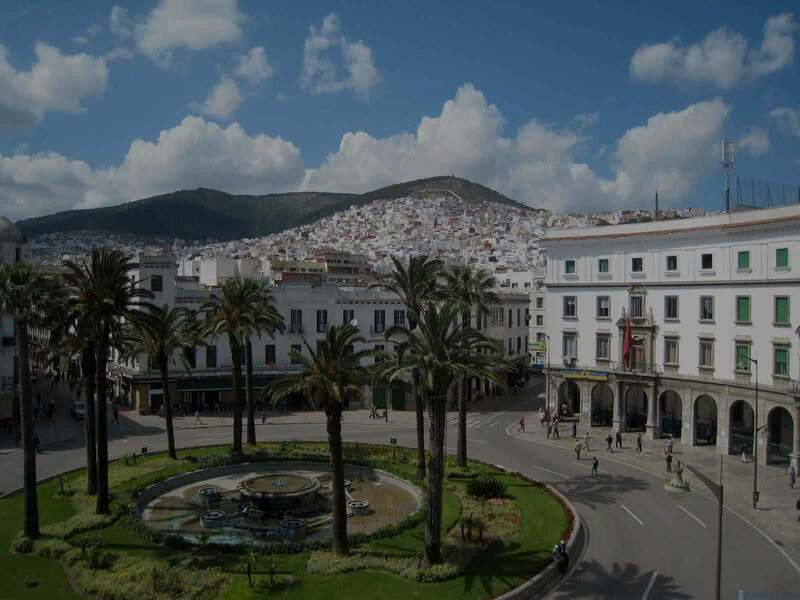 Tetouan has an extremely rich history, and is probably the most Spanish city in Morocco. There is Andalusian influence everywhere, particularly in the architecture. The fusion is beautiful. One of only two fine arts schools in Morocco, Tetouan is home to a magnificent collection of modern art. If you don't like art, go anyway because the building is very impressive. Tetouan is only 10km from the Mediterranean Sea. Go east out of the city and past the airport and you will find yourself in the small town of Martil. Enjoy the sun! Tetouan is considered a major transport hub in Northern Morocco, with Tangier, Ceuta, and Chefchaouen all easily accessible. Unfortunately Tetouan can often be overlooked in favour of these other destinations, but don't underestimate this city. At least make a stop! If you are travelling with TangierTaxi to Chefchaouen, you can also make a stop in Tetouan if you let us know. It would be a shame to drive straight past Tetouan without having a look. It's worth it, even if only for a couple of hours. Trying a Tetouan milkshake is a good idea. This hybrid of a milkshake and juice is a vibrant mix of almonds, avocados, bananas and more - and all in one drink! While you may find the mix of ingredients funny to read, trying it at least once when in town is definitely recommended.